For research involving fieldwork, locations are crucial. Each location has to be considered carefully from a scientific perspective in order to collect the appropriate data. However, beyond the science, there are many other considerations. What are the characteristics of the location? Who is in charge of the land? What is it used for? Each location is uniquely located within space and time, posing individual challenges but also potentially very rewarding. 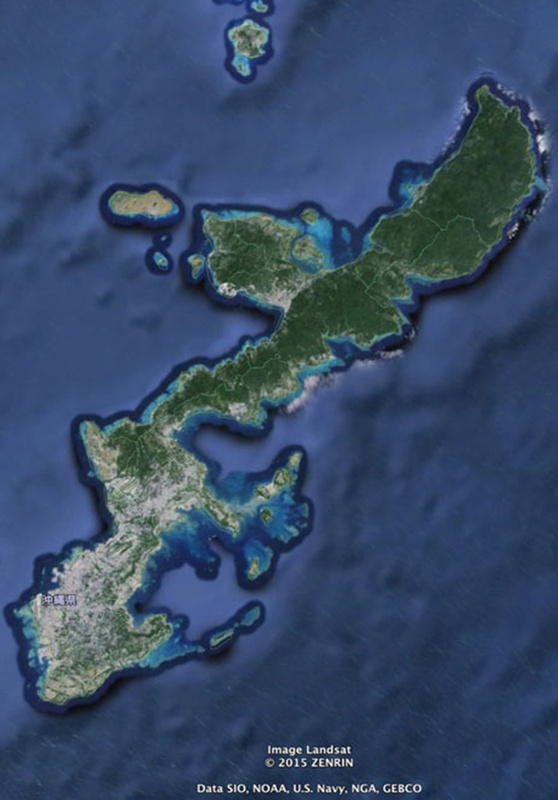 One of the sites chosen for the OKEON Chura-mori Project is the sacred site of Sefa Utaki, located on the Chinen Peninsula in the south of Okinawa’s main island. 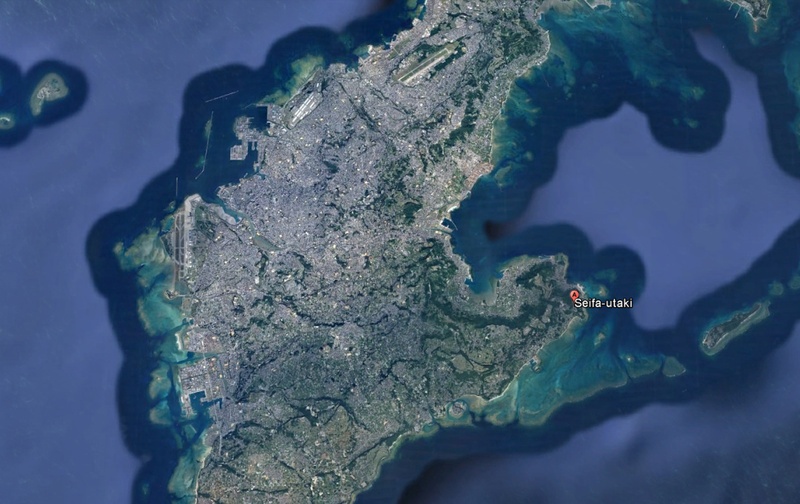 Urbanisation has posed a significant threat to biodiversity in Okinawa; if you look at an aerial view of the southern part of Okinawa’s main island, the scale at which urbanisation has occurred is readily apparent. Around 90 per cent of Okinawa’s population live in the southern third of the island, with Naha-shi within the top 30 most densely populated cities across the whole of Japan. 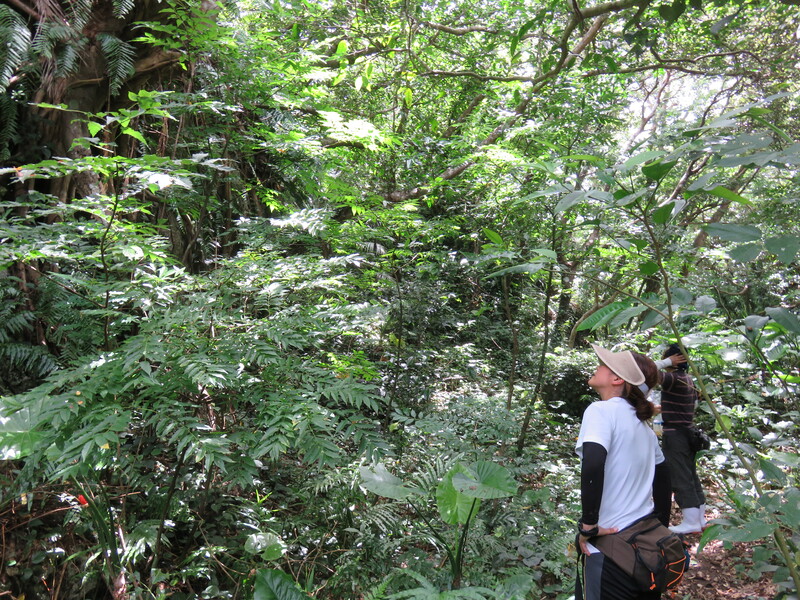 As a project which aims to investigate the biodiversity across the entire island, the lack of forested areas in the south posed a major problem when searching for locations to erect SLAM traps to collect insects. As a result, any remaining forest is of critical importance from a scientific perspective. It can help us to understand how urbanisation has impacted biodiversity in the area, as well as painting a more complete picture of biodiversity across the island. The Sefa Utaki site is one such remaining forested area. It is highly sacred according to indigenous Okinawan beliefs. For many centuries, it has been seen as a powerful spiritual site, meaning that the forest has been virtually untouched and therefore protected. This makes the site particularly interesting from a biodiversity perspective, as it has been preserved for so long within a religion which regards nature with the highest esteem. 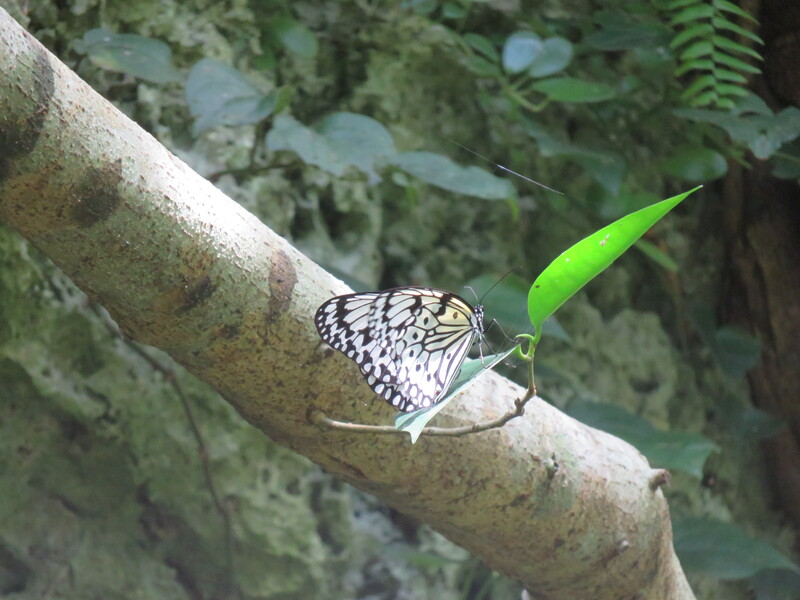 If the site had not been so well protected against urban development and other invasions, it would not hold such a historical key to the remaining biodiversity in Southern Okinawa. Due to the local importance of the site, as well as its’ status as a World Heritage Site, it seemed to be an unrealistic aspiration to set up a SLAM trap here. However, one important connection that OKEON Chura-mori has with Okinawa Municipal Museum’s (沖縄市立郷土博物館) curator, Mr. Kawazoe, led to the chance to work at the Sefa site. Through Mr. Kawazoe and Mr. Higa’s introduction, we asked for the cooperation of the city administrator in charge of the site to allow OKEON to research there. Despite having obtained official permission, extra care had to be taken at this locally historic site. Within the social system in Okinawa, locally elected ward heads are highly regarded, almost more so than city or prefectural administrators. 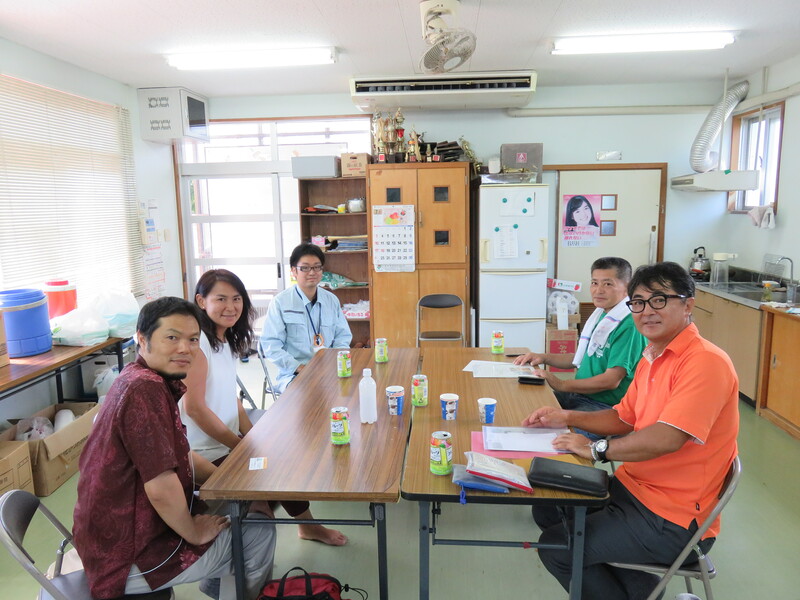 In respect of this, OKEON project leaders met with Mr Nakama, the head of the ward where Sefa Utaki is located, to receive his approval, and accordingly the approval of the local community. Without this acknowledgement, foreign researchers entering the local site might cause distress to local communities – despite having official permission – potentially leading to conflict. Mr Nakama also proposed that OKEON should attend the bi-annual community meeting to present the data collected at the site. Here, OKEON will present not only a broad overview of the project, and specific elements pertaining to the area, but also how much of an honour it is to work at this important site which has been protected for so long. Maintaining a good working relationship with the local people, through the locally elected officials is vital to ensure the longevity of the OKEON project. Any data collected will be useful, but the particularly exciting element is the potential for it to be continued for many generations to come. Long term studies contribute greatly to understandings of changing biodiversity, but depend heavily on being able to use the exact same sites indefinitely. Luckily for us, not only as researchers but also as humans who are part of the ecosystem, some parts of nature have been protected for many generations. Sefa Utaki is one such area. The care taken to respect this site will allow the study to continue, but is also a valuable example of how nature could be treated to ensure biodiversity to flourish, against the backdrop of rapidly urbanising landscapes. For more information about Sefa Utaki and the related Ryukyu Heritage Sites , click here.